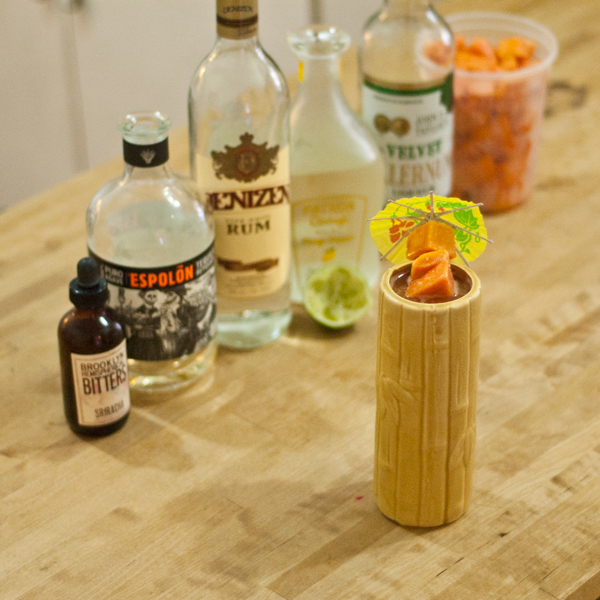 So I did what any smart Home Bar Girl would do and I asked Instagram what they would do with Papaya in cocktails. Some fabulous people suggested that I use Papaya with flavours like Mint, Mango, Falernum, Chili/Spice, Honey, Tequila, Rum. Nice start! 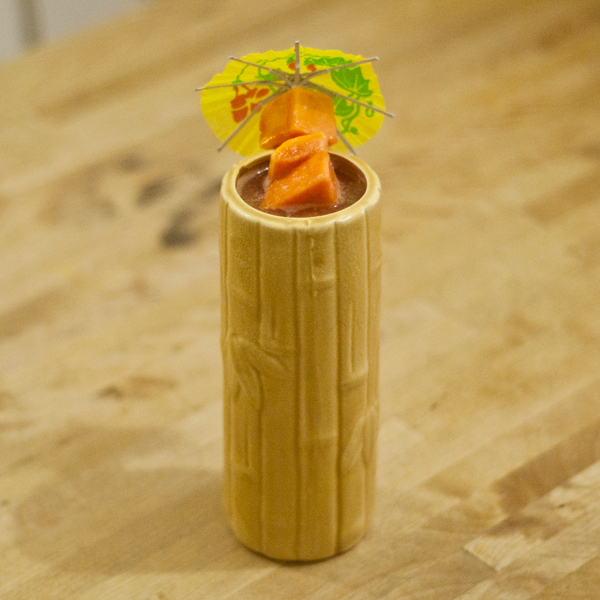 Then people gave suggestions like, “I just wanna chomp a juicy, boozy Papaya cube as I sip a drank.” YES PLEASE GURL. So I took all of these ideas, and cracked open the greatest book on earth for a girl in search of flavor pairings, The Flavor Bible. I looked up Papaya and what do you know, many of the recommendations I’d already received were listed as a potential match. Awesome. 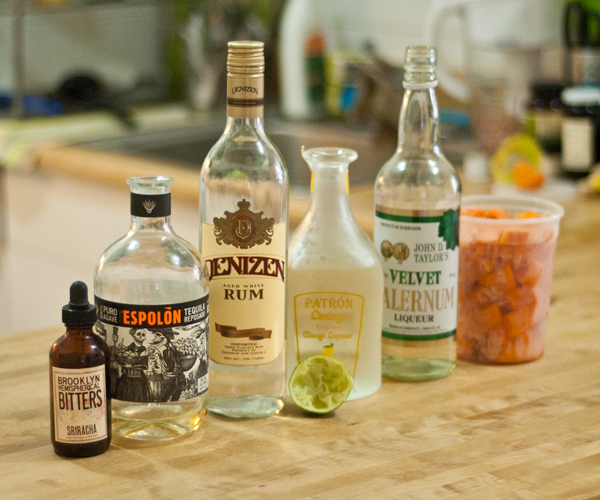 Then I grabbed a bunch of Papaya, threw it into a smoothie cup, looked at my Home Bar, and these are the ingredients that spoke to me. Remember, frozen drinks need more sweetness due to the large amount of ice in the mix. Hope you enjoy and feel free to play around with whatever you’ve got in your Home Bar! Combine ingredients in a blender and blend for around 7 seconds. You want it to be well mixed but not overly blended and frothy. 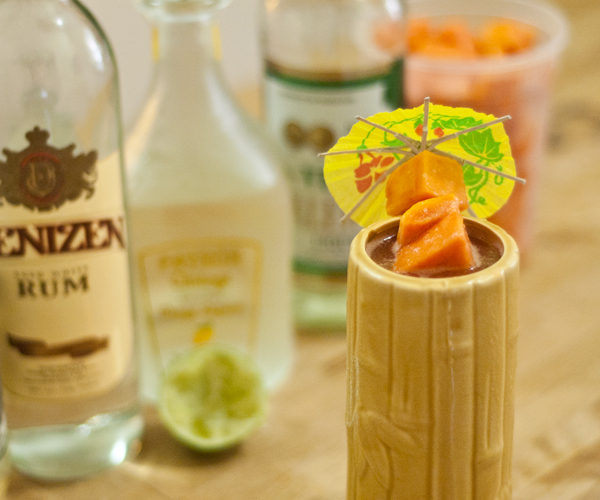 Pour into Tiki mug and garnish. 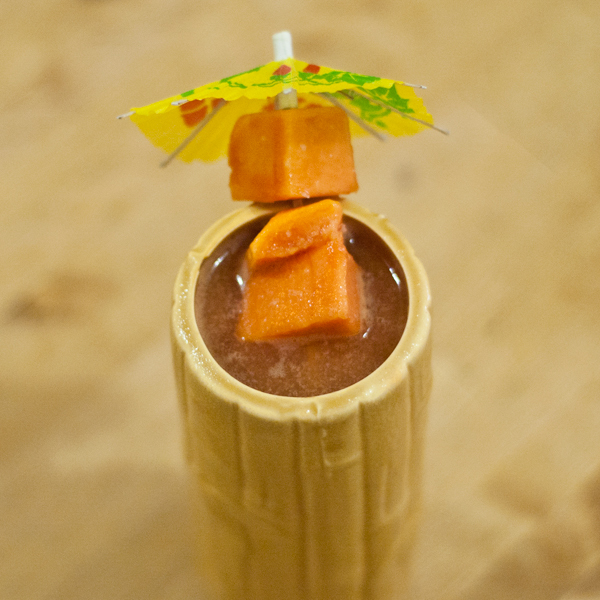 May all your Frozen Tiki dreams come true!